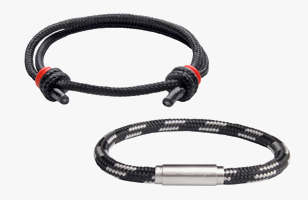 Are IonLoop bracelets safe…you be the judge. For the last eight years we have manufactured negative ion bracelets for adidas containing the natural mineral tourmaline that are offered for sale in over 25 countries, some are shown on our web-site. adidas requires an A-01 test to determine if any product contains harmful or hazardous materials. Our negative ion bracelets & magnets were submitted for testing and conclusively show that the product passed a very complex hazardous material test protocol. These tests are conducted by TUV Rheinland which is the adidas AG nominated testing company. TUV Rheinland is a respected testing lab with offices throughout the world. The test results may be viewed in the FAQ Bracelets section of the website. With regards to the question of radiation...Dr. Vince Holahan Ph.D. at the Nuclear Regulatory Commission has written a blog which talks about the safety of negative ion bands. To quote Dr Holahan “The amount of radiation given off by these products is well below the level that would cause any health concern or illness, even if worn over several years.” It seems that Dr. Holahan is clear that our bracelets and others not present a health risk. IonLoop bands are safe; they have been tested for hazardous materials, the government scientists (not internet bloggers) at the NRC deem them not to be a health risk.